Liz Russell, the named mortuary domestic was nominated for a Trust Shining Stars Award by the mortuary APT team for her continued support of maintaining excellent cleanliness standards within the mortuary and bereavement rooms. Liz has worked at the Trust for 39 years and is a brilliant asset to our team. We have achieved 100% compliance in the last 5 years infection control audits carried out by the infection control team and recent HTA and CPA inspectors have also commented on the level of cleanliness within the department. And although Liz is not an APT we would not manage the excellent standards without her commitment. As most APTs will know this job can be difficult at times - not only is Liz a valued member of the team for her practical input, she is also very much valued for her understanding of our role and her kindness shown to the team and the families of the bereaved. 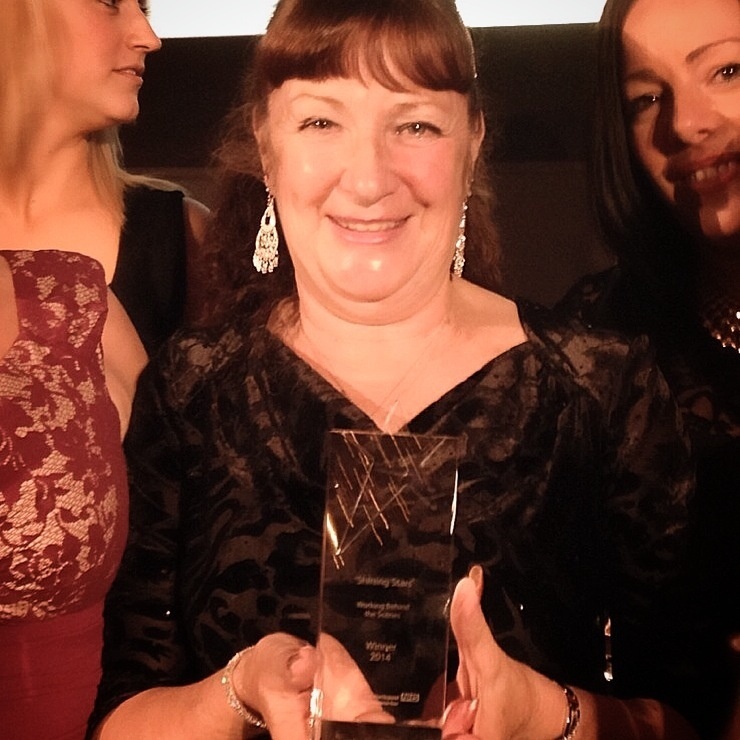 We are pleased to announce that Liz won the Shining Star award for "Working Behind the Scenes"